What is your position and mission in your inst itution? 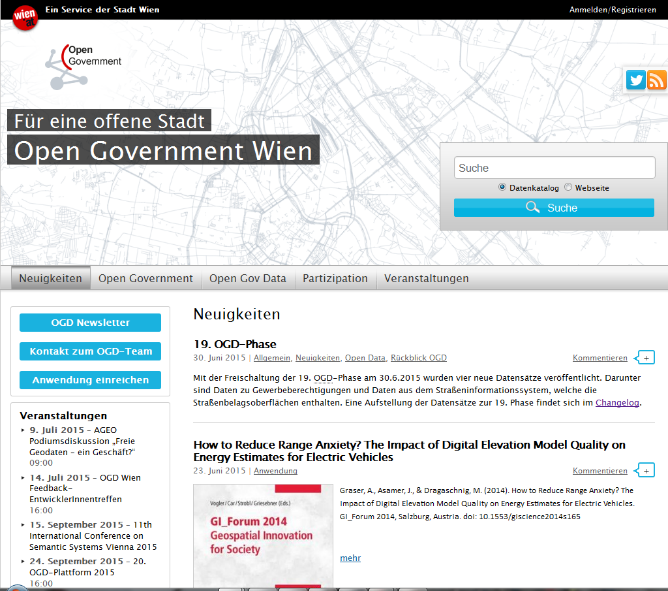 I’m a member of the CIO office of the City of Vienna and responsible for ICT-Strategy and the coordination of the Open Government Competence Centre of the City of Vienna. We are the strategic planning and management unit in all areas of a future-oriented information and communication technology and an efficient conveyor end process management of the City of Vienna. As a think-tank and an innovation driver inside, we focus consciously on strategic content and initiatives and provide our partners with a significant contribution to the optimization of internal processes and the urban quality of service for a liveable city. We watch pro-active social as technological trends and provide the impetus for the development of innovative ICT and process management solutions, as well as ICT consolidation under our intended conditions. We see ourselves as a competent group of experts and mediate between individual needs and the corporate interests of the City of Vienna. We continue our process and open new data in quarterly data phases – 20th phase is planned for September 2015. We set a main focus on data quality – improve the quality of Meta data and the description of data. We want to make the reuse of data easier.